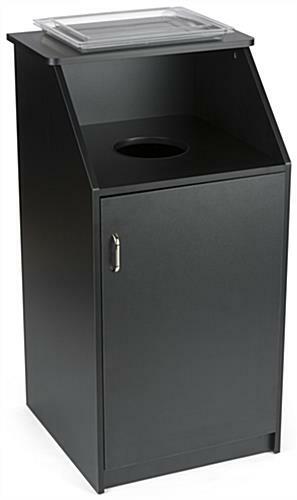 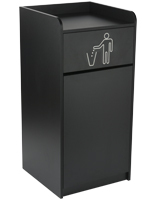 Keep an organized and cleanly business thanks to this black waste receptacle enclosure. 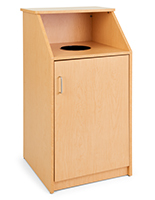 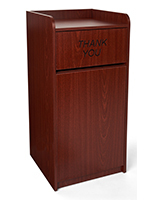 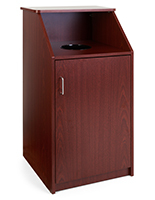 Standing at 45” tall, each 36 gallon trash bin features a top loading design for ease of use. 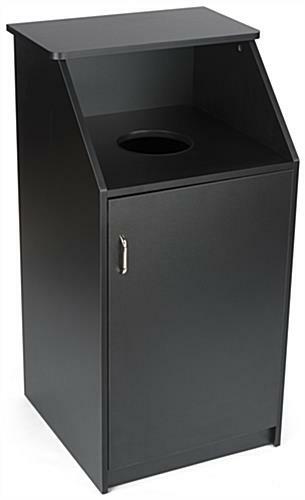 Constructed from 18mm thick MDF and thermally fused melamine, this floor standing receptacle will look great in any environment. 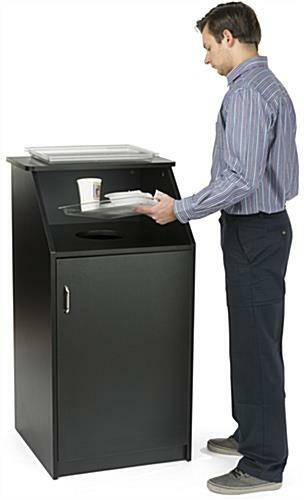 In addition, the 21” wide top shelf is perfect for tray or dish storage. 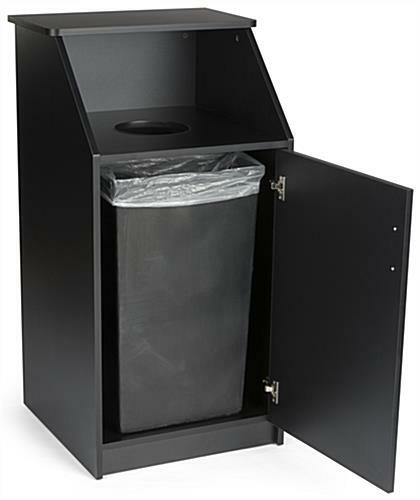 The bottom door is hinged for easy access to the 36 gallon trash bin. 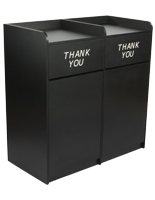 Use this waste receptacle in restaurants, food courts, or any other high traffic service industry. 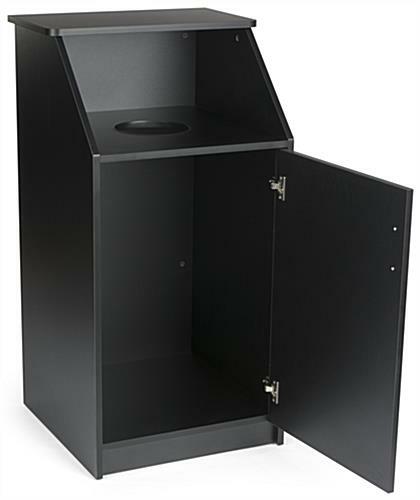 Such a great product at an amazing price! 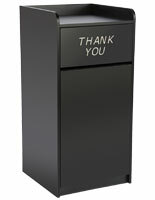 I will be back for more items! 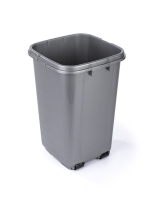 And it got here in no time!